Pacific Home Brokers™ can provide real estate financing! Click Here to Get Prequalified and E-Sign Our Application! Your application will be emailed to us securely once you are finished. 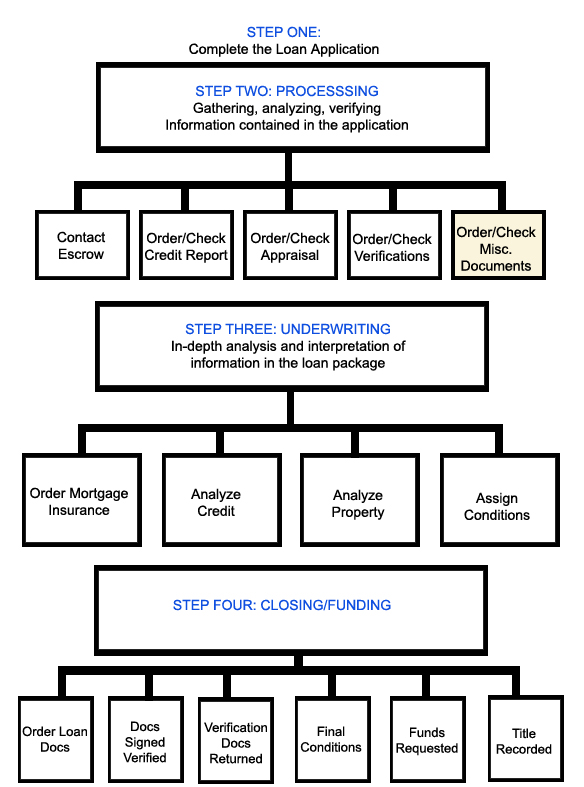 Loan Process – Click Here for a flow chart of the loan process. The loan process starts with taking an application, sending in your supporting documents, lender approval and funding. The chart linked above will show you a detailed diagram of the loan process. We will guide you the whole way and provide the best rate possible that you qualify for based on the home and other factors. A Fixed Rate Mortgage ensures that your payments will stay the same over the life of the loan. This has the obvious advantage of enabling you to calculate your monthly expenses without worrying about fluctuations in your mortgage payments over time. FHA loans have low down payments of 3.5%, low closing costs and easier credit qualifying. A US Department of Veteran’s Affairs (VA) Loan allows qualified veterans to buy a house without a down payment. Additionally, the qualification guidelines for VA Loans are more flexible than for either FHA or Conventional Loans. For qualified veterans, this can be a very attractive option. Situations can arise where the buyer can qualify for a loan but does not have enough for a down payment. In these instances, there are programs available through local and state agencies that can help procure funds for the down payment.